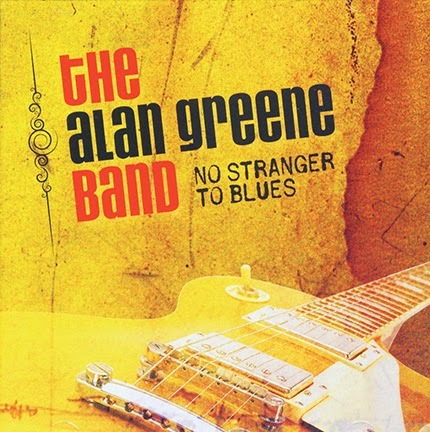 The Alan Greene Band. No Stranger to Blues. Alan Greene, from Shaker Heights, has been on the Cleveland scene (and elsewhere) for decades. He’s won a bunch of local awards for his guitar playing. He’s played with Humble Pie and other bands from out of town, but would rather be here. 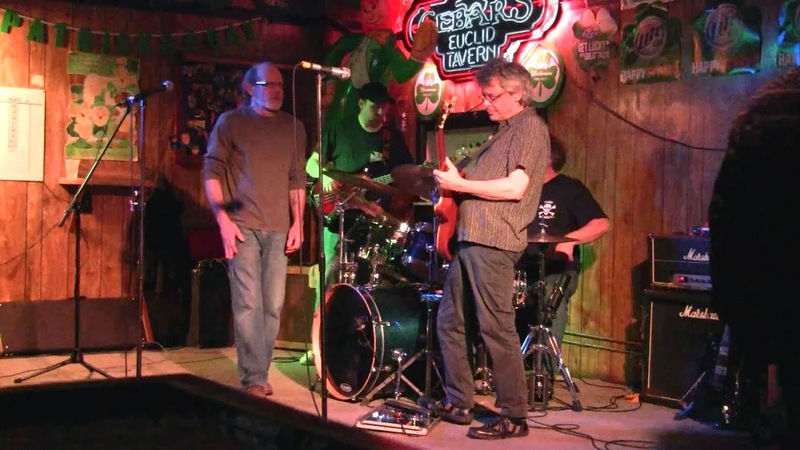 With his band, all local gentlemen, he graces area taverns with his brand of blues and rock. This album contains mostly original material, a lot of it written by T.C. Odegard, who sings lead vocals (although somewhere in here, Justin Butcher sings too), along with three tunes by some other folks. The band is tight, the vocals are right, and I really enjoy the results. Odegard’s vocals change with each song, depending on the style, either more rock-oriented, straight ahead blues, or something else, although every song is drenched in blues. The opening track, “Little Black Mark,” has him sounding like John Fogerty, and the band provides some CCR licks for good measure. “True Love” is an odd combination of blues combined with what sounds like the riff from “Bang a Gong” by T. Rex. It works pretty well. “Angel Love” is the most rock-oriented song on the album, a tune Greene wrote with some other guys, including Mason Ruffner. It’s a fine song. “Lonely Nights” is a ballad, with a country/honky tonk flavor reminiscent of Ray Charles’ forays into the genre. It fits right in as a change of pace. “Can’t Find My Way Home” is one of my favorite songs of all time, written by Steve Winwood and appearing on Blind Faith’s album. The band does a credible job, but it can’t quite match the original, since, in my mind, the bar is set too high. The straight blues material is simply great. On many of the songs Odegard’s harmonica trades solos with Greene’s guitar, and the results are exactly in the groove. “My Little Gal” sounds like a 50s juke joint tune, and “Blues Got a Hold on Me” has some real menace behind it. Odegard’s harmonica really goes into high gear here. The two big covers, “Who’s Been Talking” (Howlin’ Wolf), and “Been Gone too Long” (Billy Boy Arnold) sound just right, capturing the feel of the originals. 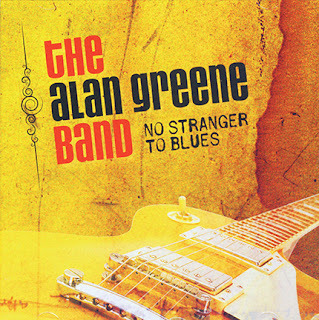 I haven’t said much about Alan Green’s guitar work. What is there to say? It’s amazing. He takes a solo in nearly every song, and each one is special. The rest of the band is damned good too. 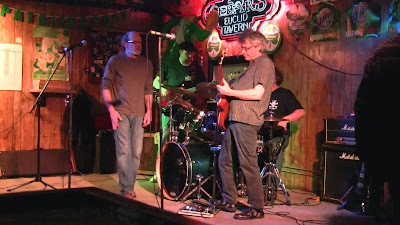 You can hear these guys (normally a quartet) playing around the area, especially at Cebar’s Euclid Tavern. Go hear some great blues. Personnel: T.C. Odegard (vocals, harmonica), Rob Luoma (drums), Justin Butcher (bass, vocals), Alan Greene (guitar), Brent Lane (keyboards), Dale Peters (percussion). Tracks: Little Black Mark, My Little Gal, Who’s Been Talking, True Love, Lonely Nights, Can’t Find My Way Home, Treat You Right, Been Gone too Long, Angel Love, Meal Ticket Blues, Blues Got a Hold on Me. Dan Miraldi. Devil at Our Heels.